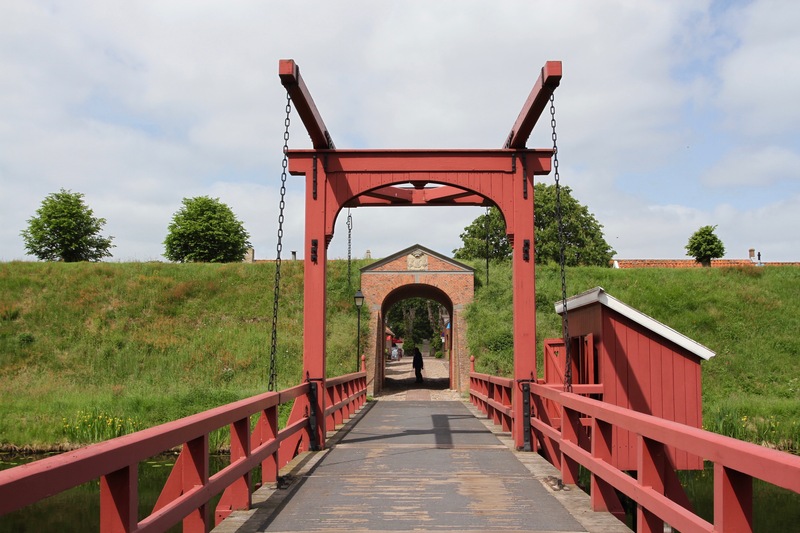 The Netherlands has its fair share of beautiful medieval towns that double as star forts, surrounded by defensive canals and moats, but few compare to the extraordinary star fort of Bourtange. It may be small, it takes ten minutes to walk the complete circuit of the inner defences, but it is uniquely well preserved and gives a real insight into what it would have been like to have been garrisoned here in the 16th and 17th centuries – it was built in 1580 by the Dutch in an attempt to isolate the Spanish garrison in nearby Groningen. 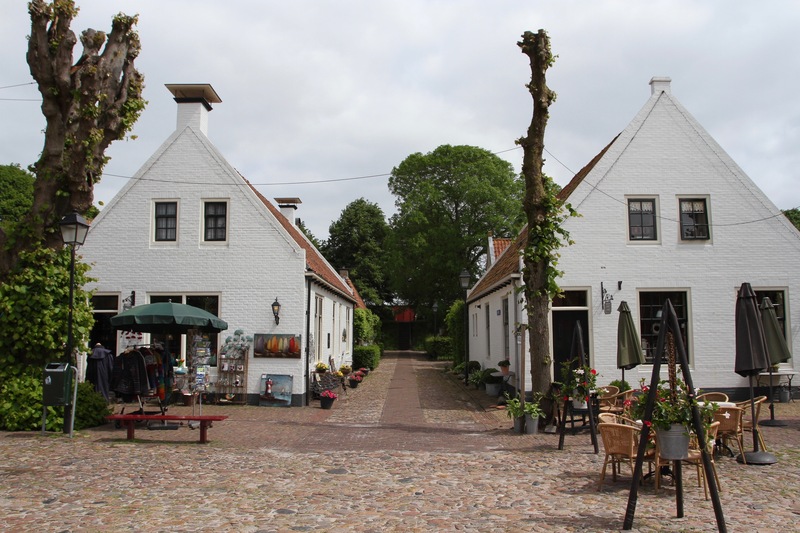 The Dutch War for Independence, also known as the Eighty Years’ War, was only in its infancy when Bourtange was constructed on the orders of William I, Prince of Orange. Groningen was a major city in the north of the Netherlands and depended on supplies from Germany. 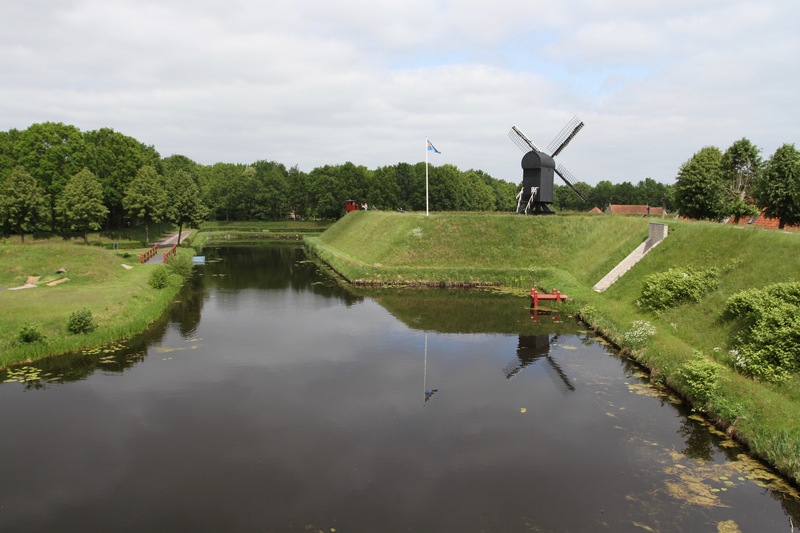 The fort was meant to disrupt Spanish supplies and cut Groningen off from trade routes into Germany. 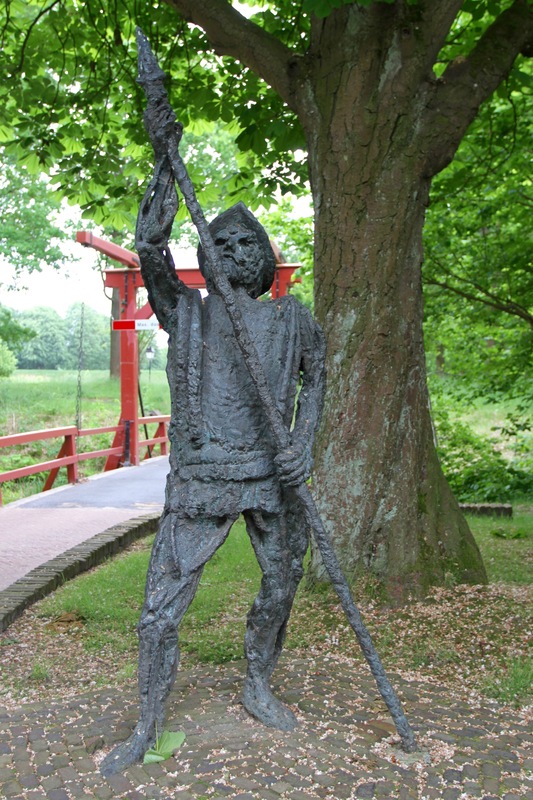 Today, it lies only a few kilometres from the modern German border, and to get there and back entailed crossing national boundaries a few times. Ironically, the fort didn’t see much action against the Spanish, perhaps its most perilous moment came in 1672, when the German Prince-Bishopric of Münster attacked and laid siege to it. By that point the defences had fallen into disrepair and the garrison consisted of only fifty men. It was repaired just in time and, thanks to the naturally marshy surroundings, the attack failed. This was to be the last time the fort would see serious action. Not too long afterwards, it was once again largely abandoned and left to decay. Worse still, farmers started draining the surrounding swamp for land, removing one of its most important defences. The fort saw service again in the 18th century. Between 1739 and 1742 it was repaired and expanded, but this was only a temporary reprieve from its long-term decline. Military technology had advanced making the fort largely obsolete. 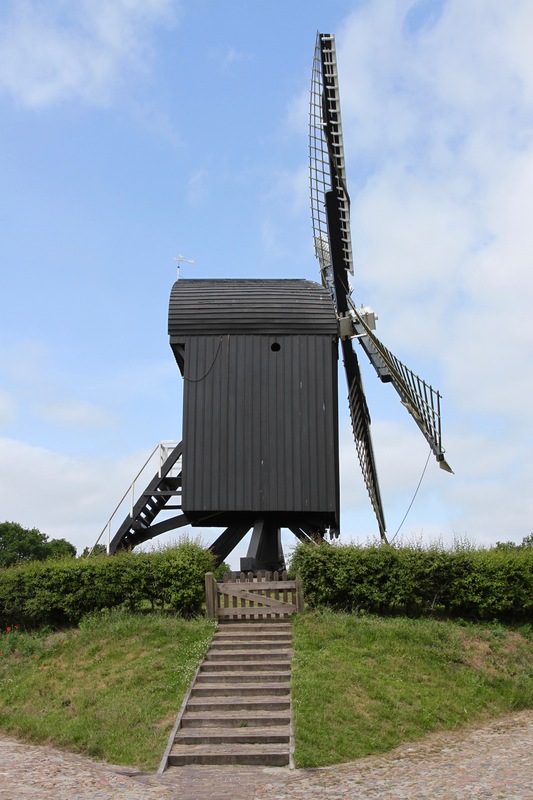 So much so, that by the 1850s it had been dismantled and began a new life as a village. Fast forward a century to the 1960s, and the village in the former fort was also largely abandoned. 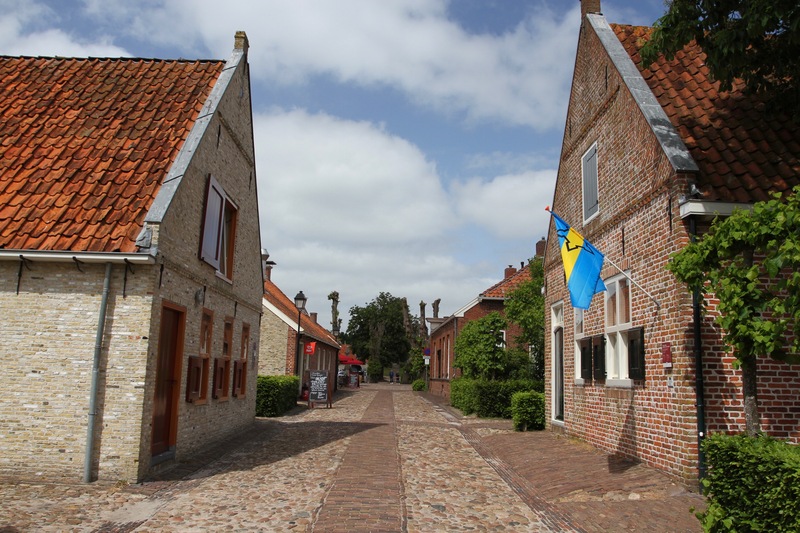 The authorities stepped in and decided to reconstruct the Bourtange of 1750, in the hope that tourism would revive its fortunes. The work to turn the fort into an open air museum wasn’t completed until 1992, but the three decade wait was well worth it. Visiting today is a remarkable experience, there were even a few people in period clothing. 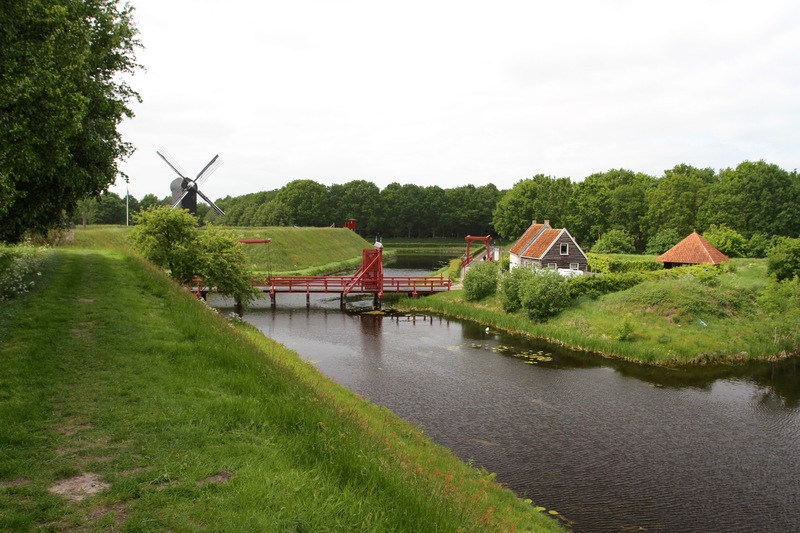 From the visitor’s centre, the short walk to the fortress takes you along the defensive moat – house tops, a windmill and church spire poking above the top of the earth defences. It’s only when you walk across the drawbridge and through one of the two village gates that you really see what all the fuss is about. I strolled up a cobbled street, past lovingly restored buildings, one of which was a synagogue. 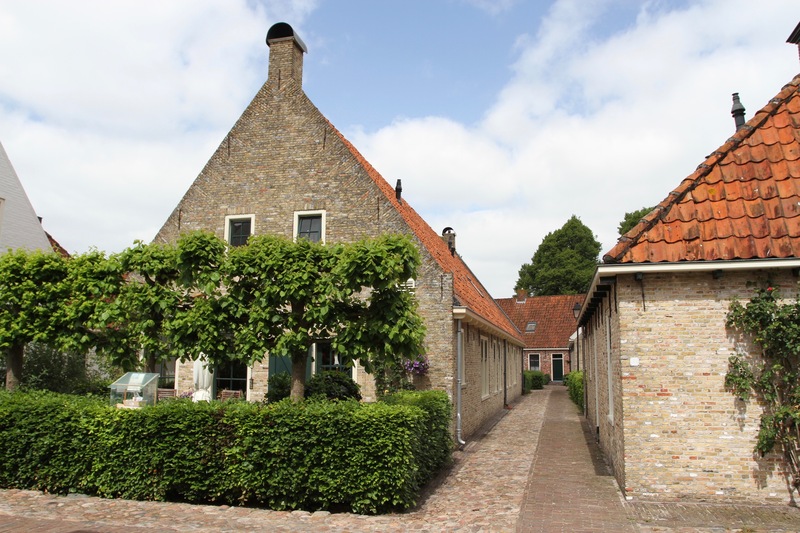 In such a small place that seemed a bit strange, but by 1840 Bourtange was home to a thriving Jewish population. On the wall of the synagogue is a plaque commemorating the forty-two Jewish residents who where killed in Nazi death camps during World War Two. I reached the very centre of the village a few yards further on. 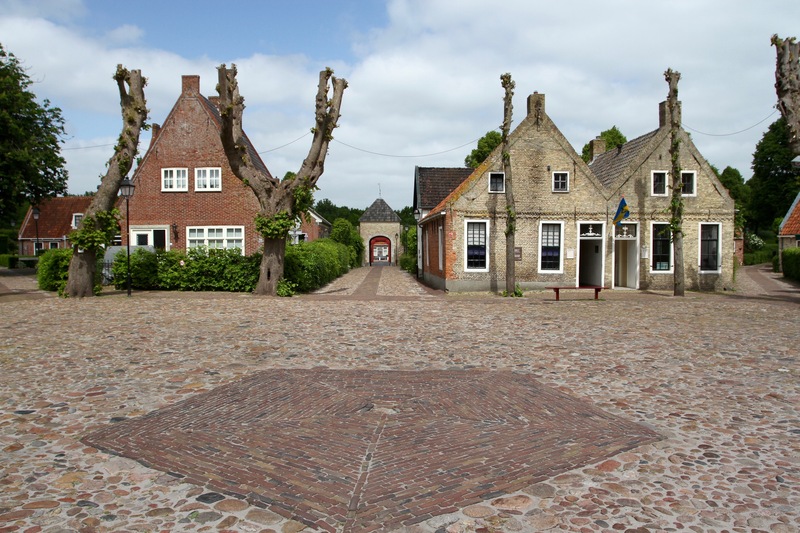 You know you’re in the centre of the star because there’s a circle out from which village’s few streets radiate. 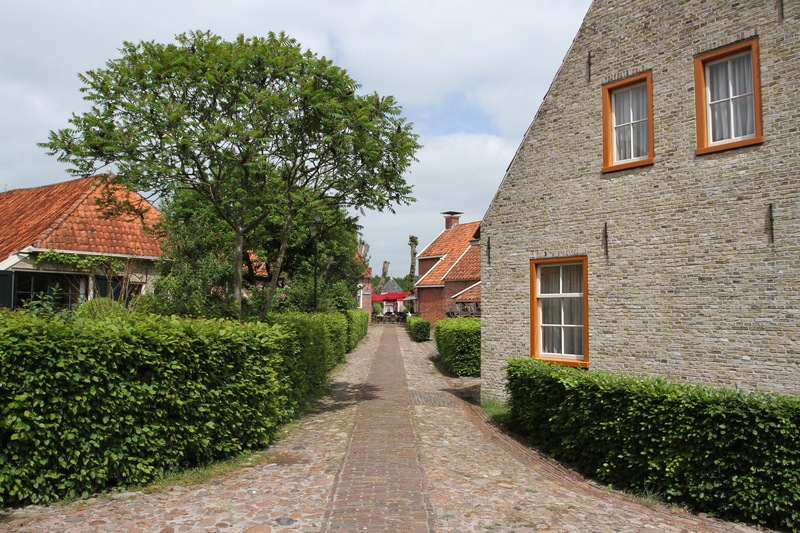 Turn slowly through 360° and you can see the entirety of Bourtange. I strolled around, looking into some of the historic buildings that are open to the public, and which tell the fort’s story. Afterwards, I walked the star shaped defences with good views over the village roofs and surrounding countryside. It’s a beautiful place, and you can even spend the night here, which I imagine to be very atmospheric. Sadly, I didn’t have time for that. There are a couple of places to eat in the village though, so I had a snack before heading into Germany and onwards to Berlin.